This chapter discusses ethical dilemmas and questions of integrity characteristic of the conduct of discourse analysis (DA). Following a general introduction to the ethics and integrity of DA, the text expands on three discourse analytic approaches: discursive psychology, narrative inquiry, and critical discourse analysis. The chapter presents how ethical and integrity concerns manifest themselves and how they may be addressed in regard to the specifics of each of these forms of DA. Readers are introduced to the basic principles of research ethics – such as voluntary and informed consent, confidentiality and anonymity, and minimizing harm – as well as those distinctive to the interpretive and critical endeavors characteristic of much DA. These closely relate to questions of research integrity, and more specifically to the grounds of analysts’ interpretations, representation of research participants, and the place of discourse scholars’ critique and application of their analyses. 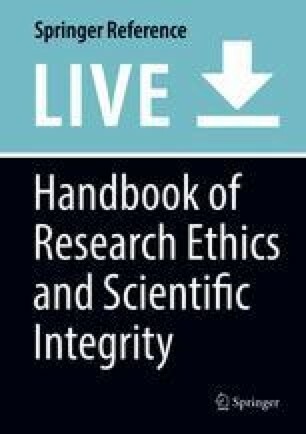 The chapter concludes by calling for a continual and honest discussion of ethical dilemmas if we are to ensure that consideration of ethics becomes inherent to any discourse analytic endeavor.